James O. Hall was born in December 1847 at WV. He married Nancy Renner, daughter of Abraham Renner and Harriet Davis, on 21 March 1895 at Mt. Morris, PA.. He died on 6 June 1936 at Monongalia Co, WV., at age 88. [S1150] 1900 Monongalia Co, WV. Census, Morgan District. [S1151] 1910 Monongalia Co, WV. Census, Morgan District. Clarence A. Hall was born in July 1883 at WV. He was the son of James O. Hall. Dillen B. Hall was born in April 1885 at WV. He was the son of James O. Hall. Eli John was born on 20 December 1848 at PA. He married Lucinda Renner, daughter of Abraham Renner and Harriet Davis, in 1869. He married Malinda Nay on 28 December 1893 at Marion Co, WV..5 He died on 16 February 1907 at age 58. [S1252] 1870 Greene Co, PA. Census, Whiteley Twp. [S1124] 1900 Marion Co, WV. Census, Mannnington. [S3844] Marion County Will Book ,1907. [S1237] 1880 Marion Co, WV. Census, Mannington. 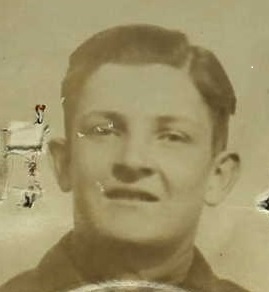 Osbrone John was born in July 1896 at WV. He was the son of Eli John and Malinda Nay. Homer Ross John was born on 9 July 1888 at WV. He was the son of Eli John and Lucinda Renner. He died on 28 December 1973 at Wheeling, Ohio Co, WV., at age 85. Mergie L. John was born on 30 June 1870 at Greene Co, PA.. She was the daughter of Eli John and Lucinda Renner. She married William E. Strait on 7 July 1889 at Mannington, Marion Co, WV..2 She died on 18 November 1935 at Mannington, Marion Co, WV., at age 65. Ida Belle John was born in July 1872 at PA. She was the daughter of Eli John and Lucinda Renner. She married Jesse B. Talkington on 9 April 1891 at Marion Co, WV..3 She died on 21 September 1961 at Buclhannon, Upshur Co, WV., at age 89. [S2103] 1900 Harrison Co, WV. Census, Sardis District. Barbra E. John was born in 1873 at WV. She was the daughter of Eli John and Lucinda Renner. She died before 1900. Amedia John was born on 17 April 1877 at WV. She was the daughter of Eli John and Lucinda Renner. She married Alva Jackson Ice on 16 May 1897 at Marion Co, WV..5 She died on 18 December 1918 at Cadiz Twp, Harrison Co, OH., at age 41. Alva Jackson Ice was born in April 1877 at Marion Co, WV.. He married Amedia John, daughter of Eli John and Lucinda Renner, on 16 May 1897 at Marion Co, WV..3 He died on 26 April 1938 at Henry Co, IN..
Albert B. John was born on 14 February 1879 at Marion Co, WV..3 He was the son of Eli John and Lucinda Renner. Zana John was born on 9 July 1881 at Marion Co, WV.. She was the daughter of Eli John and Lucinda Renner. She died on 30 March 1899 at Marion Co, WV., at age 17. Emma John was born on 2 September 1883 at Marion Co, WV.. She was the daughter of Eli John and Lucinda Renner. Edwin Barclay Sadler was born on 26 January 1900 at Newburgh, Orange Co, NY.. He served in the Canadain Army during W.W.I. He was a bulger in the U.S.Army at Camp Mafna, TX. in 1920. He lived in 1931 at 115 N. 3rd Street, Camden, NJ.. He worked for RCA Victor in 1931. He married Wanda Fay Strosnider, daughter of Arthur Strosnider and Rosalee Bass, on 20 November 1931 at Camden, NJ..8,9 He lived in 1942 at Caribou, ME..10 He enlisted in US Navy, as a radio technician during WWII. in 1942.10 He died on 1 April 1962 at V.A. Medical Clinic, Ross Co, OH., at age 62. He was buried at Arlington National Cemtery, VA..
[S4810] Camden NJ Directory ,1931: 115 N. 3rd Street #7. [S4811] 1900 Orange Co, NY. Census, Newburgh. [S4284] 1910 Cook Co, IL. Census, Chicago. [S4812] 1920 Hudspeth Co, TX. Census, Camp Manfa. [S4813] 1915 New York Census, New York City. [S4814] New York City Directory ,1933: Staten Island. [S4816] Newark, NJ. Directory ,1922. [S4808] The Morning Post (Camden, NJ.) ,17 Nov 1931. [S4809] United Methodist Records ,20 Nov 1931. [S4815] The Record (Hackensack, NJ.) ,26 Aug 1942. Carl T. Cole married Daisy E. Culp, daughter of Le Roy Culp and Rosalee Bass, on 18 April 1942.